​Marion County is hitting the reset button on its popular curbside recycling program. This means residents won't be able to recycle some plastics and other items after March 5. The reset is due to the global recycling crisis caused by China's crackdown on imported recyclable materials. "To put the problem in perspective, it's helpful to understand that China has for many years consumed over half of the world's recyclable materials," said David Lear, Mid-Valley Garbage & Recycling General Manager. "However, a significant amount of the recycled material China was getting was contaminated with food waste, garbage, and other unusable materials." As of January 1, 2018, China made good on its promise to significantly limit the amount of material it imports from other countries. The ban created a major disruption in recycling and there is no excess capacity in worldwide recycling markets to absorb the material China no longer accepts. 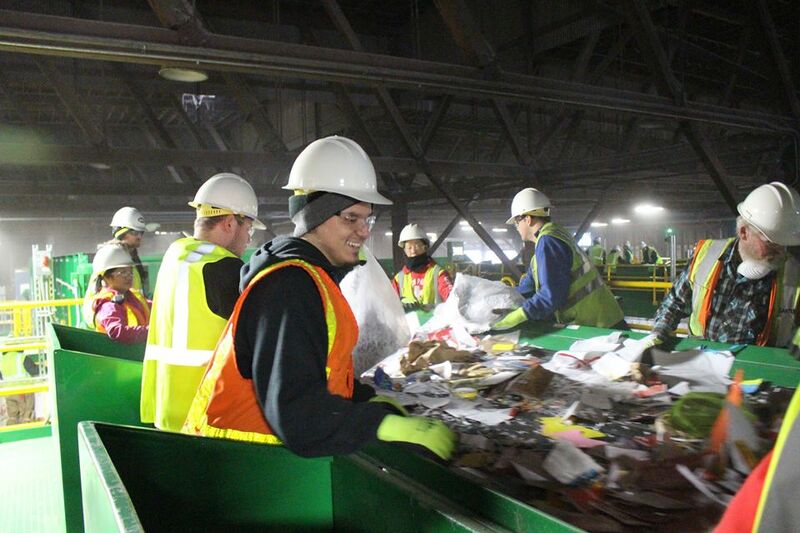 This leaves Marion County recycling processors, as well as other jurisdictions, with a lot of material and few markets. Will Posegate, Garten Services Chief Operating Officer, said, "Given that this shakeup in global recycling markets is likely to continue for the near future, we have identified a short list of materials for which we know there are markets, both global and domestic. Our goal is to make sure that collected recyclable material is marketable and will actually be recycled and not end up in a landfill in some other part of the world. If manufacturers aren't buying certain materials, we have no choice but to throw them away." In our zeal to protect the planet, we've all put something in the mixed recycling roll cart and hoped that it will be recycled. This "wishful" recycling is a part of the problem. Removing items that are not on this list will play a role in the solution. Cleaning up our recycling is a community issue that not only involves putting the right material in the mixed recycling roll cart, but making sure items are empty, clean and dry – when in doubt, throw it out. Marion County Environmental Services, the City of Salem, local garbage haulers and recycling processors recognize that changing the curbside program requires thoughtful re-education about contamination and materials that are no longer considered "recyclable." Customers will soon receive new recycling educational materials. "In making these changes to the countywide mixed recycling roll cart program, we hope to enable our customers to recycle items for which there are sustainable, accessible, and affordable markets – now and into the future," said Brian May, Marion County Environmental Services Manager. "Despite the current challenges in the recycling realm, Marion County remains committed to protecting the health and welfare of our residents by providing environmentally sound solid waste management services."